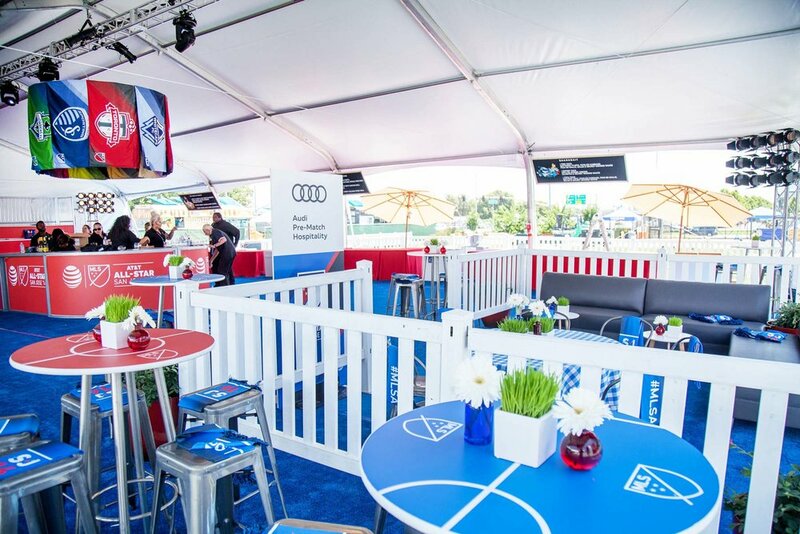 We produced and designed the hospitality areas for 1200 VIP guests at the Major League Soccer All Star Game for 8 consecutive years. In this particular year, our design elevated signature elements of the stadium, such as plush bleacher seating, white field lines and stadium lighting to full effect. The food trucks we brought in served gourmet versions of traditional game bites and were a huge hit. We were responsible for crowd management and engineering the staging structures. We also partnered with event sponsor Heineken on a fun branded courtyard.